Windows and SQL Server 2008 and 2008 R2 are reaching the end of their support lifecycle. Each version is backed by a minimum of 10 years of support. End of support means the end of security updates, which can cause security and compliance issues and put applications and business at risk. We recommend upgrading to current versions for advanced security, performance, and innovation. If you can’t get it all upgraded by the deadline, new options are available to help protect applications and data during the transition. 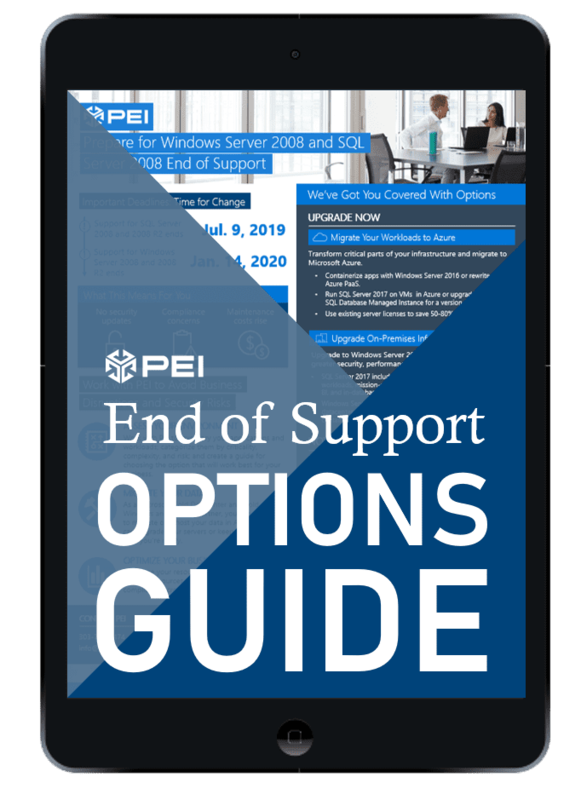 Use our End of Support Options Guide to explore your options for transforming critical parts of your infrastructure by upgrading to the most current technology or buying yourself more time to consider existing budgets and infrastructure refresh plans while staying secure. As support ends, your organization may fail to meet compliance standards and industry regulations. Download Your Options Guide Now!